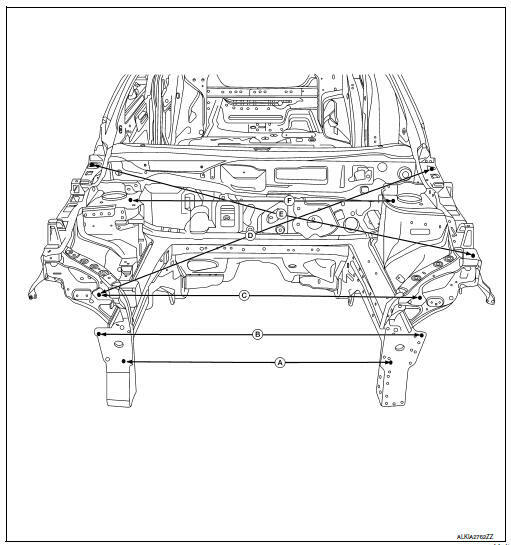 A mark has been placed on each part of the body to indicate the vehicle center. 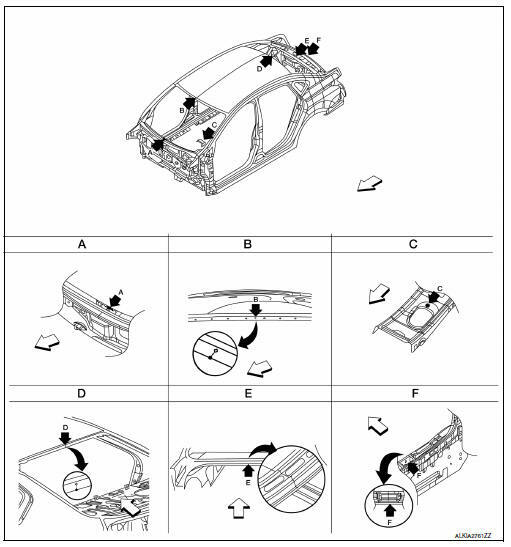 When repairing parts damaged by an accident which might affect the vehicle frame (members, pillars, etc. 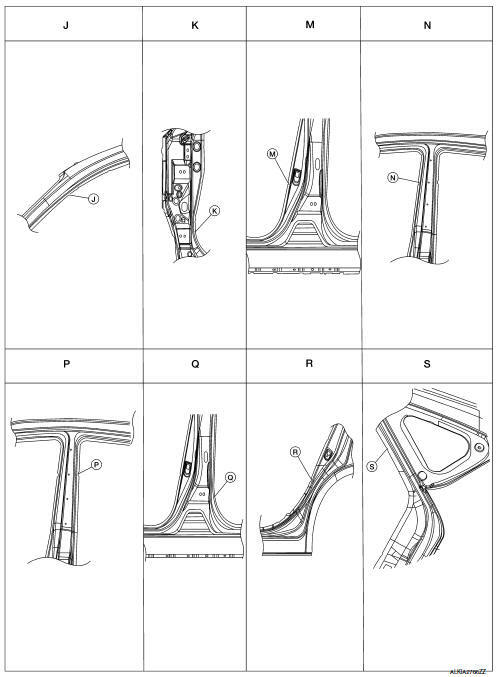 ), more accurate and effective repair will be possible by using these marks together with body alignment specifications. All dimensions indicated in the figures are actual. When using a tram gauge, adjust both pointers to equal length. Then check the pointers and gauge itself to make sure there is no free play. Measurements should be taken at the center of the mounting holes. The value at the measuring point indicates that the measuring point on the other side is symmetrically the same value. The coordinates of the measurement points are the distances measured from the standard line of ″X″, ″Y″ and ″Z″. 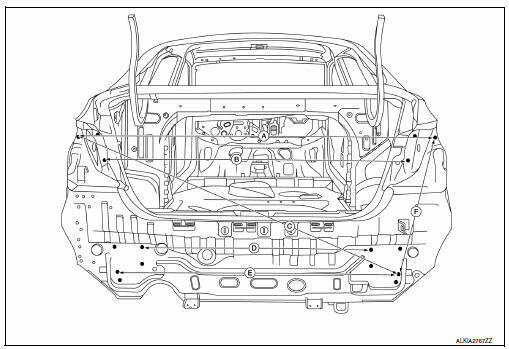 The dimensions are symmetrically identical on both the RH and LH sides of the vehicle. All dimensions indicated in the figure are actual.